a little video from my set at Shambhala! follow to: http://thegaff.ca for a RECAP. 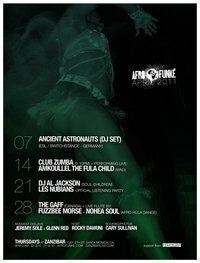 Afro Funke' takes place at Zanzibar in Santa Monica every thursday----------word!